The Vision digital display is the solution to display time in enterprise synchronized (by broadcast) with the network of terminals LBC and/or with the server. 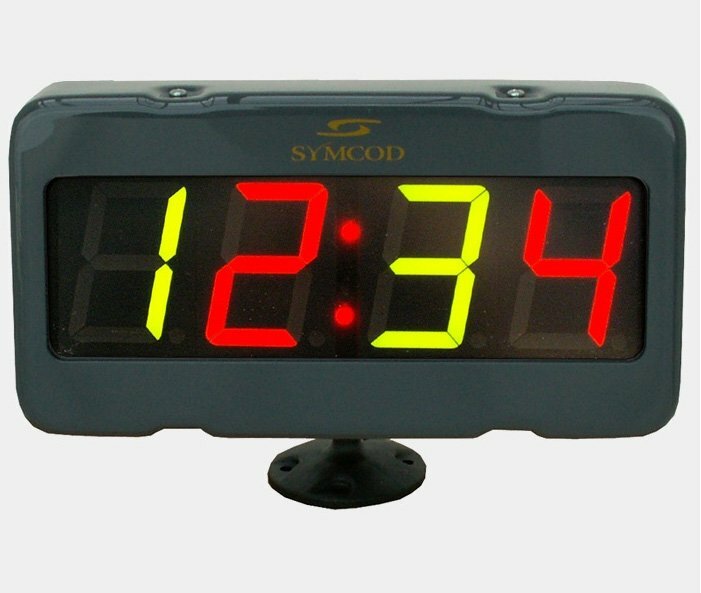 The 2.3" digit height red or green color (software control) can be readily visible up to 75 feet. Other possibilities such as display machines numbers, machines speed, percentage (), performances, production status, rejected material number, etc.